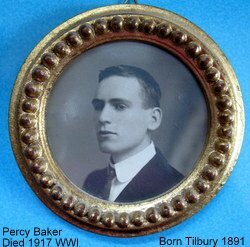 Percy Edward Baker was the son of Charles Baker and Charlotte (nee Chambers) who lived in the Dwellings. 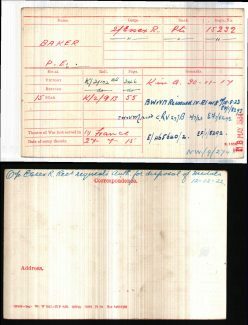 He was a private in the 13th Battalion, the Essex Regiment. His brother, Walter enlisted in the Canadian Mounted Rifles. He fell in action on 30th November, 1917 in France and has no known grave. He is commemorated on the Cambrai Memorial in Louverval. Barbara Ferdinand kindly donated all of his military memorabilia to the Thurrock Museum where it sits proudly in one of the display cases. 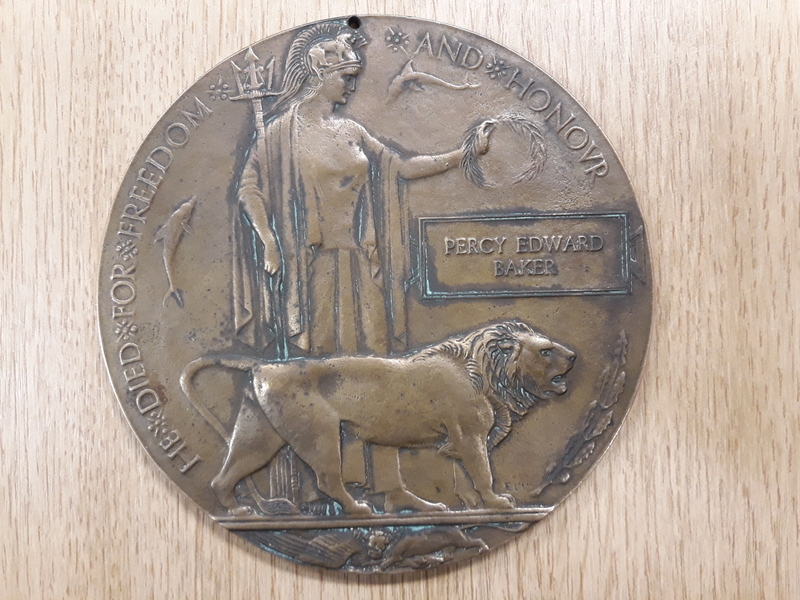 His entry in the CWG Roll of Honour can be found here. There is more information and photographs on his Find a Grave entry. The 13th Essex were the “Hammers” Battalion, West Ham Pals. There is a plaque at WHU ground. The Battalion fought alongside the famous Footballers Battalion in the great war. There is books written on both these battalions.